The driving force of fashion, Friedman added, is planned obsolescence. In fact, everything “fashion” does is predicated toward teaching consumers to eschew the old and embrace the new. “Something is in, then it is out; skirts are up, then they are down; today it’s green, tomorrow, blue, which is itself by definition about something that is the opposite of sustainable,” she said. Friedman’s research into the “IWWIWWIWI generation”—that is, millennials who “want what I want when I want it”—showed that Gen Y’ers don’t actually need to own things. And because they’re able to get their fix virtually, to some degree, through sites like Pinterest, they can make their actual purchases much more consciously. That combination of technology and speed with deliberate purchasing strikes Friedman as a “very modern” sort of balance to achieve. 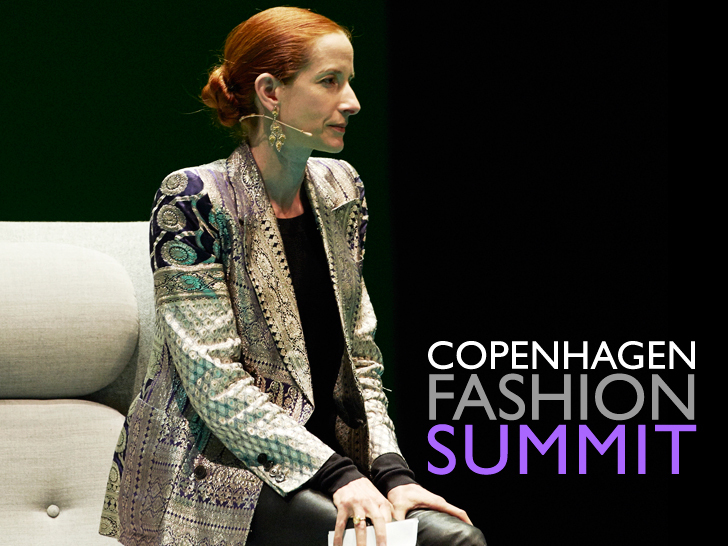 Read the entire transcript of Friedman’s speech at Fashion Editor at Large. 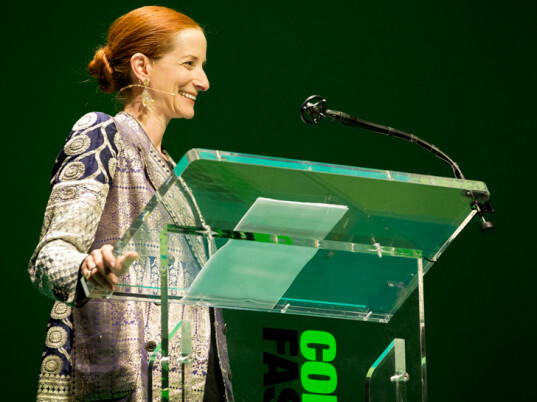 Vanessa Friedman: "Driving Force of Fashion is Planned Obsolescence"
The phrase "sustainable fashion" isn't just a contradiction in terms, declared New York Times fashion critic Vanessa Friedman last Thursday, it also doesn't make sense. 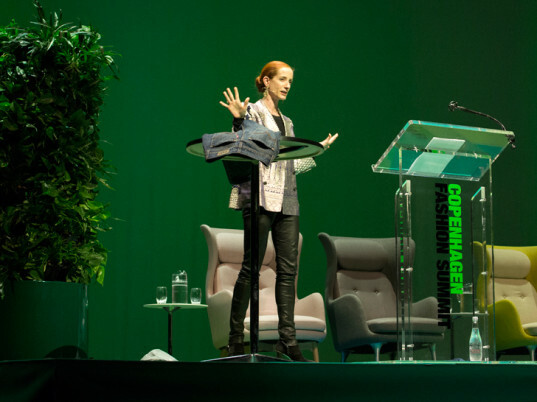 Speaking at the Copenhagen Fashion Summit in Denmark, Friedman referred to the Oxford English Dictionary, which defines "fashion as the "production and marketing of new styles of goods, especially clothing and cosmetics" and "sustainable" as "able to be maintained at a certain rate or level." Here, Friedman paused. "See the problem?" she asked. "On the one hand we have the pressure to be new; on the other, the imperative to maintain. 'Sustainable fashion' is an oxymoron. It�s 'jumbo shrimp.' It�s a 'down escalator.' It�s 'terrible beauty.' It�s 'resident alien.'"